I have never been a huge smoothie fan, but on the occasion, and especially after a workout, I crave a nutrient-rich drink that will rejuvenate me and help avoid the dreaded 2:00 p.m. crash. Instead of yogurt, I used almond milk, but you are welcome to use yogurt or add protein powder if that appeals to you. I also added some spinach for extra color and a nutrition boost. Speaking of color, this smoothie is eye-catching, and definitely resembles the shade of one of my favorite Muppets, Kermit the Frog. 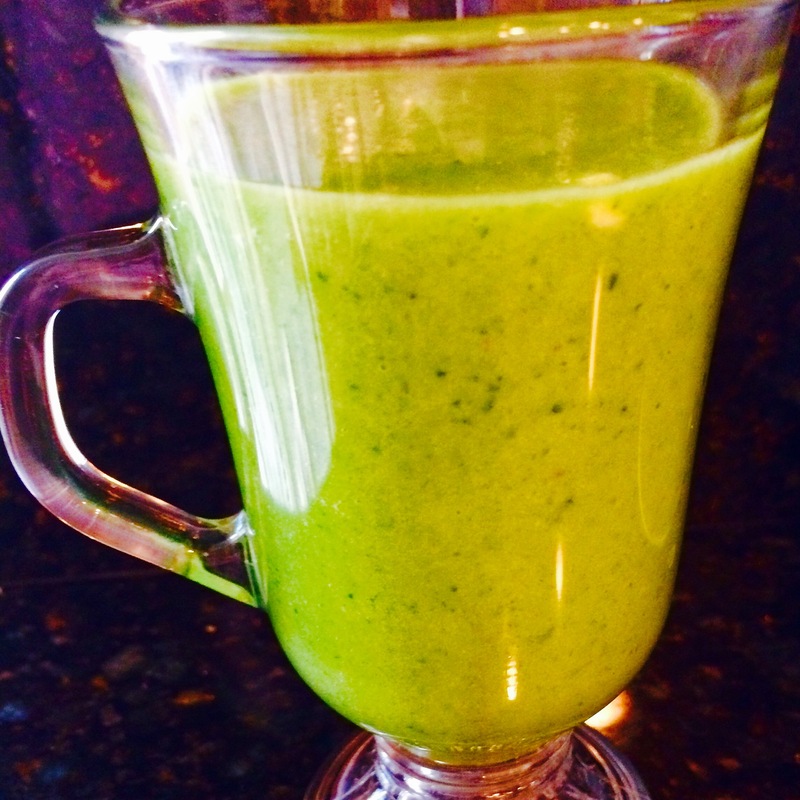 While “it ain’t easy being green,” it sure was easy to like this smoothie. Let me know if you’d recommend any ingredient swaps or additions! I like the flexibility that you have with smoothies to add or subtract a multitude of ingredients. Click “Leave a Reply” and share with me! Serving size: 1-2 (I drank it all in one sitting, but if you aren’t starving or are feeding this to kids, you can easily have two servings out of it). Add ingredients to blender and pulse until smooth!